Resolute’s proactive safety management system – combined with our ability to balance our environmental, social and economic responsibilities – were recognized by the judging panel as key to our industry-leading results. Resolute achieved world-class safety performance in 2016, posting an OSHA incident rate of 0.77, which represents a near 50% improvement since 2010. Along with milestone safety performance at nearly 20 operations, the judges noted Resolute’s design of a safer, watertight, more comfortable and breathable chemical safety suit, which is now being adopted by others in the industry. The new suit has reduced injuries from chemical splashes by 100% and avoided 80+ accidents over the past four years. The judges also saluted Resolute’s 2016 GHG emission reduction performance and other environmental achievements, including: a 55% reduction in mill environmental incidents since 2013; a 73% reduction in GHG emissions (scope 1 and 2) over a 2000 baseline, with 100% coal-free operations (scope 1) since April 2014; 100% of managed forests certified to internationally recognized standards; 74% of total energy needs met using renewable resources; and 80% of fuel energy derived from biomass sources‎. With Resolute’s focus on continuous improvement, we previously won this award in 2015. 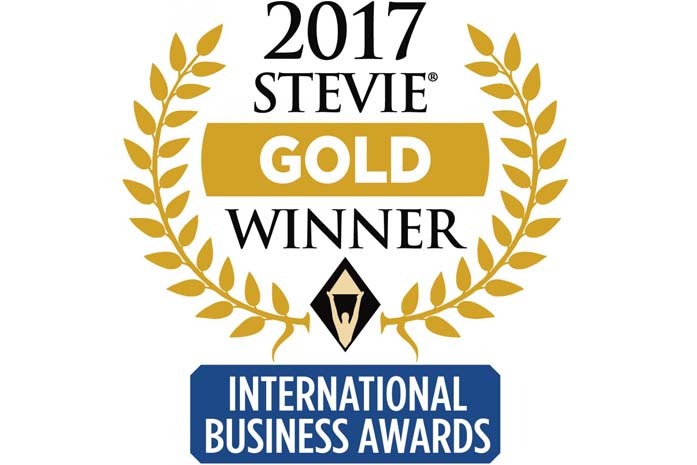 Resolute will receive the 2017 Gold Stevie at a gala on October 21st in Barcelona, Spain. The IBAs are the only international, all-encompassing business awards program recognizing outstanding performance in the workplace. For more information about the IBA and Stevie Awards, visit www.StevieAwards.com/IBA.